The long-running consensus in the West and elsewhere has been that China and Russia are destined to clash. According to this narrative, while America’s post-Cold War primacy pushed the two sides together, geography and China’s growing power ensure Beijing and Moscow will be strategic competitors over the long-term. There’s certainly something to this argument; at the very least these factors ensure mistrust will be a permanent feature of the bilateral relationship. That being said, this ignores the potential areas of cooperation between Russia and China, and fails to tell us how temporary the Sino-Russian relationship truly is. 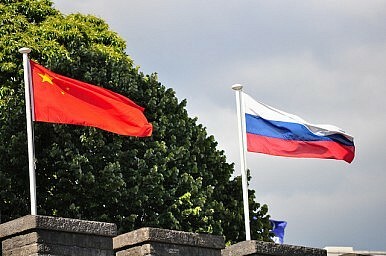 While Xi’s trip may be a one time event, the growing Sino-Russian energy relationship is premised on long-term cooperation. Just hours after Xi's arrival in Russia on Friday, the head of Russian energy giant Rosneft announced it had reached an "agreement in principle" to more than triple its annual oil exports to China, from 15 million tonnes last year to 45-50 million tonnes at an unspecified future date (likely around 2018). This will make China the largest consumer of Russian oil. As part of the deal, Rosneft and China National Petroleum Corporation (CNPC) will also jointly develop 3 offshore blocks of oil near the Barents Sea and 8 onshore deposits in East Siberia. There is a significant convergence of interest between the two sides on energy cooperation. British Petroleum forecasts that over half of the global liquids demand growth through 2030 will come from China, at which point Beijing’s 46 Billion Cubic Feet (bcf/d) of daily gas consumption will equal the entire EU’s gas consumption in 2010. China is already rivaling the U.S. in terms of oil imports, and BP expects China and India to account for 94 percent of net oil demand growth through 2030. According to the Energy Information Administration (EIA), by 2035 will be China importing 75 percent of the oil it consumes. All of this poses a number of dilemmas for Chinese policymakers, given the U.S. Navy’s control over global sea lanes. Despite over a decade of double digit increases in its military budget, China’s growing reliance on foreign energy far outpaces its ability to displace U.S. and allied naval forces. As my colleague Rory Medcalf recently pointed out, none of this has gone unnoticed in U.S. defense circles. Russia’s oil and gas reserves are almost certainly to be the largest sources of energy that have overland routes to China, and are therefore immune to any sea-based disruptions. Furthermore, Russia’s interest in penetrating China’s energy markets is difficult to overstate. The Russian economy remains heavily reliant on energy exports, which doesn’t portend well for Moscow given the global energy revolution currently underway. Indeed, should the U.S. and EU ink a free trade agreement, Russia’s stranglehold over the EU’s energy markets could come to an end. At that point Moscow’s continued economic viability would fall to Asian nations, principally China and India.